The town of Fort William has a wide range of activities to offer. Apart from the obvious walking and climbing, there are facilities for the less energetic. 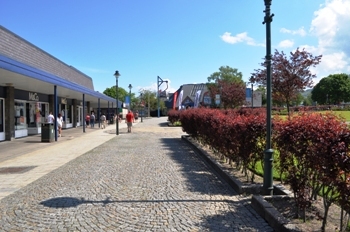 In the centre there is the tourist office, located in Cameron Square, next to the West Highland Museum. Leaflets from the tourist office indicate some of the other things to be done. Treasure of the Earth, just outside town in Corpach, boat trips to Seal Island on Loch Linnhe start from the Crannog Pier. On the Inverness road at the junction with the Mallaig road, can be found the Ben Nevis distillery, dating from 1825, this was the home of Long John whisky, named for the founder John McDonald. On the Inverness road, past the Ben Nevis Hotel, is a signposted road to Inverlochy Castle. The castle, now a ruin, was built in 1275 by Sir John Comyn, The Castle, based on the round Comyn Tower was the scene of important events, the most famous being the Battle of Inverlochy in 1645, where the Marquis of Montrose defeated an army twice the size, composed of Covenanters. Montrose’s Royalists marched from Loch Ness, through the snow, to achieve the famous victory. At Aonach Mor the ski lift rises 2300 ft to the Snow Goose restaurant, open all year round. The Caledonian Canal is at Banavie just one mile from Corpach at the end of the canal where treasures of the earth is located, and of course through the summer months the famous West Highland Railway to Mallaig the Jacobite Steam Train runs daily. The town of Fort William owes its existence to the fort built in 1650, following the parliamentary rule under Oliver Cromwell. General Monk built the first fort at its present site. This was replaced by the more elaborate building in 1690-1 under William of Orange. The ruins still exist on the shores of Loch Linnhe. Fort William was once a town where people simply just passed through on the way to much nicer places, but with recent development and tourist activities, it is becoming a place to stay, and with plenty of things to do it has become the ideal base for the Lochaber area.